“Always have a heart for helping people.” Dr. Yongxin Fan has more than 20 years of clinical experience in treating muscular-skeletal disorders, pain, digestive disorders, and psycho-emotional disorders. Dr. Fan started his practice in acupuncture and Chinese medicine upon graduating from Beijing College of Acupuncture and Traumatology and Orthopedics in 1991. Fan subsequently practiced and taught as an attending doctor and instructor in the Acupuncture Institute at The China Academy of Chinese Medical Sciences and at the Beijing International Acupuncture Training Center for ten years. In 2002, following several visiting professor stints at institutions abroad, he made Texas his home and became a full time faculty member and licensed acupuncturist at AOMA. 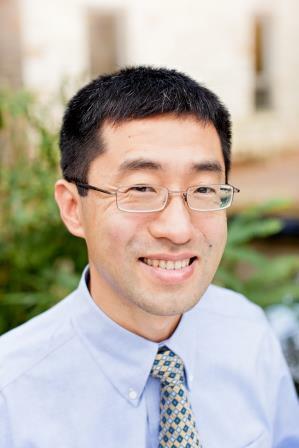 Dr. Fan’s approach to patient care has deep roots. Chinese medicine has been established for over 3000 thousand years and has been proven to be a very effective and safe medical therapy. “I have confidence that I can help people with this ancient but forever young medicine,” says Fan. Dr. Fan has considerable experience and success in the treatment of a constellation of pain-related ailments, including cervical and lumbar spinal disc injury, lumbago, degenerative osteoarthritis, rotator cuff injury, frozen shoulder, tennis elbow, tendonitis, knee joint pain, heel pain, sports injury, recovery from fracture and surgery, headache, migraine, fibromyalgia, neuropathy, and various internal and external pain syndromes. He is an excellent caregiver for patients who suffer from psycho-emotional conditions, including stress, depression, anxiety, and PTSD. Fan has also successfully treated gastric pain and bloating, acid reflux, nausea, vomiting, diarrhea, constipation, IBS, colitis, and weight problems, in addition to often-seen issues, such as the common cold, flu, allergies, insomnia, diabetes, shingles, skin disorders, menopause, and PMS. Of course, Dr. Fan is pleased when his patients report improvement or relief from their pain, but he is also highly motivated when he doesn’t see immediate results. “Working with challenging cases drives me to seek better treatment methods. I am constantly studying to better help my patients,” he explains. Dr. Fan, who is a rigorous and outstanding professor in addition to his role as clinician, believes that working at AOMA makes him a better educator and healer every day. Fan has coauthored three books and published his research papers in the National Journal of Traditional Chinese Medicine. He lectured and worked as a visiting professor in Holland (1996), Germany (1998), and Japan (1999, 2000). In addition to his highly regarded Sports Medicine Seminar, Dr. Fan has presented several times at the annual Southwest Symposium. Fan and his wife have two adorable twin boys. He enjoys hiking, reading, fishing, and gardening in his spare time. Irritable bowel syndrome (IBS) is a disorder characterized by abdominal pain or discomfort, and altered bowel habits; for example, chronic or recurrent diarrhea, constipation, or both – either mixed or in alternation. It has become a major health concern. The exact cause of IBS is not known, and Western doctors consider IBS to be a functional gastrointestinal (GI) disorder. Functional GI disorders happen when your GI tract behaves in an abnormal way without evidence of damage due to a disease. According to Traditional Chinese Medicine (TCM), IBS is a condition caused by Spleen and Liver disharmony, which manifests as Liver Qi stagnation and Spleen Qi deficiency. TCM relates the symptoms associated with IBS to stress. Stress affects the Liver Qi (energy), which handles the smooth flow of Qi throughout the whole body; excess stress then results in Liver Qi stagnation. The Spleen is in charge of digestion according to TCM, and stress weakens Spleen Qi, leading to disturbances of the GI system. The major IBS symptoms such as abdominal bloating or pain, mixed or alternated constipation or loose stool, mucus in the stool, or incomplete evacuation, are all results of Liver overacting on the Spleen and Stomach. In addition, a large amount of clinical research in China has showed that TCM therapies, which include acupuncture, acupuncture with electric stimulation, moxibustion, auricular acupuncture, traditional Chinese herbal medicine and external application, have positive results for patients with IBS. 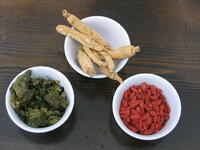 Clinical studies have also shown Chinese herbs to improve the effectiveness of IBS treatments. For example, Fuling (Poria) and Shanyao (Rhizoma Dioscoreae) can relieve diarrhea. Baizhu (Rhizoma Atractylodis Macrocephalae) is well known for its regulating and dual effect on the gastrointestinal tract: it treats diarrhea at low doses and constipation at high doses. With this dual effect, it is the ideal herb for relieving the major IBS symptom of alternating diarrhea and constipation. 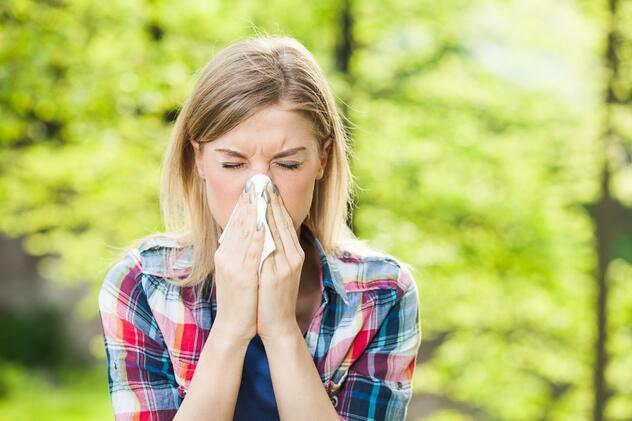 Other foods containing lactose may also induce symptom flare-ups in some people. It is important to remove spicy and acidic foods from the menu that stimulate the lining of the intestine. It is also necessary to stop smoking and reduce the intake of coffee, since both may irritate the bowel. At the AOMA acupuncture clinics in Austin,TX, practitioners of acupuncture and traditional Chinese medicine may use a variety of methods to restore a patient’s Liver and Spleen disharmony. Application of acupuncture, traditional Chinese herbs, dietary therapy, and Qigong and other lifestyle changes will promote the healing of IBS. Our bodies are hardwired to handle stress, but over time too much stress takes a toll on the body. When we feel threatened the sympathetic nervous system is activated causing the heart rate to increase, the pupils to dilate, and blood to be directed towards the extremities. Digestion can temporarily shut down. This is also known as the "fight or flight" response and is why when we are stressed, we may feel agitated or want to run away from our problems. Cortisol, sometimes called “the stress hormone”, is also released, causing increases in both blood pressure and inflammation while suppressing the immune system. If our bodies continue to experience high amounts of cortisol, symptoms can evolve into anxiety, depression, fatigue, digestive issues and tension headaches. 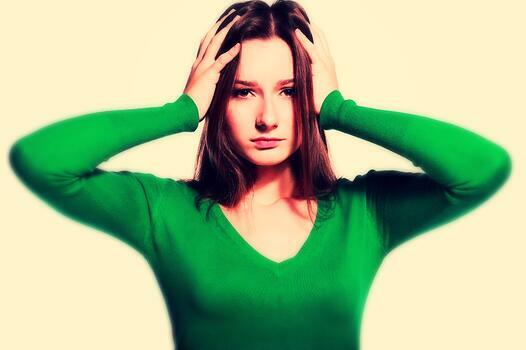 Stress is defined as an organism's total response to environmental demands or pressures. In a medical or biological context stress is a physical, mental, or emotional factor that causes bodily or mental tension. Stresses can be external (from the environment, psychological, or social situations) or internal (illness, or from a medical procedure). In Chinese medical theory, strong emotions like stress interrupt the body’s energy flowing smoothly. When these strong emotions are present for long periods of time they create a blockage in the body’s “road” system creating an energetic “traffic jam.” Acupuncture increases the circulation of blood and oxygenates the tissues throughout the body while cycling out cortisol and releasing natural pain-killers called endorphins. Other benefits of acupuncture include decreasing the heart rate, lowering blood pressure, and relaxing the muscles to help the body feel less stressed. The traditional Chinese medicine approach is to focus on restoring the balance of energy in the body, such as soothing the liver Qi, tonifying the liver blood and spleen Qi, clearing the heat in the heart and liver, etc. A combination of acupuncture and Chinese herbal medicine are generally applied and combined to treat stress; diet therapy and exercise is suggested as well. Dr. Yongxin Fan has over 20 years of clinical experience in treating muscular-skeletal disorders, pain, digestive disorders, and psycho-emotional disorders including stress. “One patient had intense stress from her job and was having insomnia. I treated her with acupuncture and the herbal formula wen dan tang. After the first treatment she was sleeping much better and after two weeks the stress was much reduced. A patient with more severe stress symptoms (anxiety, panic attack, insomnia, and heart palpitations) recovered in 3 weeks after receiving acupuncture and taking the herbal formulas gui pi tang & huang lain e jiao tang. The most commonly prescribed Chinese herbal formulas for stress are xiao yao wan (also known as “Free and Easy Wanderer”), gan mai da zao tang, chai hu shu gan san, yi guan jian, yue ju wan, and gui pi tang. To find out the right herbs for you, make an appointment with a licensed acupuncturist and herbalist. 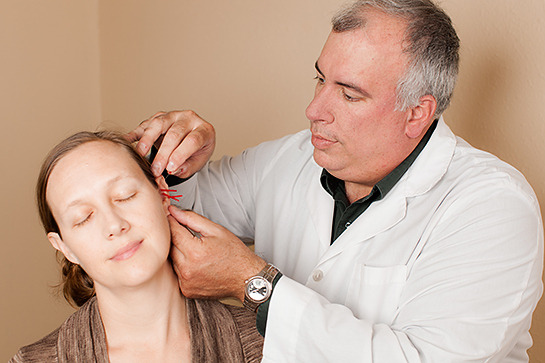 The practitioner will take a full medical history and do pulse and tongue diagnosis to determine the best acupuncture plan and herbal prescription. Exercise should be a part of everyone’s stress management plan, as it helps the body produce more endorphins, also known as the “runner’s high”. Many types of physical activity can stimulate this response and each person must find the right type of exercise for him or herself. For some, walking is enough, but others will want to get more of a workout to get their blood pumping and break a sweat. Taiji, qigong, and meditation are forms of mind-body exercise and have been shown to help induce the “relaxation response.” The relaxation response makes the heart beat slower, muscles relax, breathing become slower, and blood pressure decrease. As far as dietary therapy, most vegetables and fruits that are rich in color can help the body deal with stress. For example, in Chinese nutrition, blueberries, purple cabbage, beets, tomatoes, and eggplant are believed to be stress reducing. A diet high in calcium, magnesium, phosphorus, potassium, and vitamins B & E is recommended, as these nutrients are easily depleted by stress. Fruits and vegetables such as apricots, asparagus, avocados, bananas, and broccoli, brown rice, dried fruit, figs, salmon, green leafy vegetables, and most rich colored fruits are high in vitamin B. Even if you eat a healthy diet, vitamin B complex is a good supplement to consider if you suffer for chronic stress.